HVAC loads (Heating, Ventilation and Air Conditioning System Loads). Lifts Loads (Transportation System Loads). Pumps Loads (Fire Fighting, Plumping, Irrigation Systems, Etc.). Today, I will explain the second item of power loads; Lifts Loads (Transportation System Loads) as follows. An elevator (or lift in the Commonwealth excluding Canada) is a type of vertical transport equipment that efficiently moves people or goods between floors (levels, decks) of a building, vessel or other structures. Elevators are generally powered by electric motors that either drive traction cables or counterweight systems like a hoist, or pump hydraulic fluid to raise a cylindrical piston like a jack. There are three types of convoying methods in buildings, Elevators & Escalators & Ramps, and they have different dimensions and uses according to building type & number of users in it. They have a sheave that extends below the floor of the elevator pit, which accepts the retracting piston as the elevator descends. Some configurations have a telescoping piston that collapses and requires a shallower hole below the pit. Max travel distance is approximately 60 feet. In this configuration, the telescoping pistons are fixed at the base of the pit and do not require a sheave or hole below the pit and has 2 or 3 pieces of telescoping pistons. Telescoping pistons allow up to 50 feet of travel distance. it has one piston and only allows about 20 feet of travel distance. They use a combination of ropes and a piston to move the elevator. Maximum travel distance is about 60 feet. they have a gearbox that is attached to the motor, which drives the wheel that moves the ropes. Geared traction elevators are capable of travel speeds up to 500 feet per minute. they have the wheel attached directly to the motor. Gear-less traction elevators are capable of speeds up to 2000 feet per minute. they are typically traction elevators that do not have a dedicated machine room above the elevator shaft. The machine sits in the override space and the controls sit above the ceiling adjacent to the elevator shaft. Machine-room-less elevators are becoming more common; however, many maintenance departments do not like them due to the hassle of working on a ladder as opposed to within a room. They hold their own power device on them, mostly electric or combustion engine. Climbing elevators are often used in work and construction areas. Pneumatic elevators are raised and lowered by controlling air pressure in a chamber in which the elevator sits. By simple principles of physics; the difference in air pressure above and beneath the vacuum elevator cab literally transports cab by air. It is the vacuum pumps or turbines that pull cab up to the next Floor and the slow release of air pressure that floats cab down. They are especially ideal for existing homes due to their compact design because excavating a pit and hoist way are not required. Hospital bed elevators generally transport patients who are not well enough to sit up even in a wheelchair. One of the features of bed elevators should be its ability to transport the patient has smoothly as possible with minimal amount of bumping and jostling. Many contemporary bed elevators are manufactured to consume extremely low amounts of power and to be durable with a number of safety features built-in. Hospital bed elevators generally draw very little power so that should there be a power outage they are still operational off the hospital's backup power supply. Most often there will be a rear and a front entry to the elevator cabin. They usually are smaller than bed elevators. This particular type of elevator is usually hydraulic or traction based depending on the location of the machine room. They are specifically manufactured to be low-noise bed elevators that smoothly transport patients, doctors, nurses and hospital staff between floors, allowing them the utmost in comfort. Because hospital bed elevators are only used for transporting patients and hospital staff they arrived at their location quite quickly, eliminating lengthy waits. Many of these bed elevators are key operated so as to prohibit use by the general public. They are usually just on a much smaller scale than industrial or commercial elevators. Domestic elevators which are intended to move passengers up and down stairs in a multilevel residence are quite similar to those used in large public buildings. They can be built either inside the home or outside the home and can be pneumatic vacuum, electric, hydraulic or cable elevators. Most often domestic elevators designed for carrying passengers in a residential setting only carry perhaps two to four people safely and comfortably. Stairway elevators are generally installed in homes where someone in the family has problems with mobility. This type of domestic elevators simply runs on a rail up and down and existing staircase. They can run either in a straight line or around a curved stairway. Stairway elevators can be constructed both inside and outside the home. 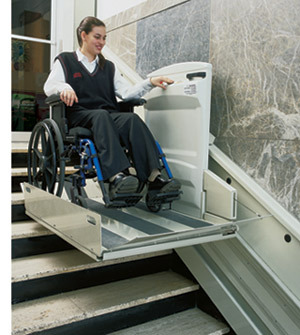 Interior vertical wheelchair elevators can easily be installed when space is limited. They can be constructed in such a way as to allow both front and rear entry and the platform is generally 4.5 feet by 5 feet, unless a custom size is called for. Vertical elevators are called for when the staircase winds around several levels. Wheelchair elevators on an incline are generally installed when the staircase simply goes up one level or perhaps two. If there are several winds in the staircase, wheelchair elevators on an incline would not be well suited. Most often this type of elevator is called for when there is not adequate space to facilitate a more spacious vertical wheelchair elevator. They are small freight elevators intended to carry objects rather than people , Whenever groceries or laundry need to be sent up and down the stairs without making unnecessary trips that can quickly tire people , people can simply place what needs to be transported in the dumbwaiter and press the button to send it up or down stairs. Dumbwaiters are most often built into or adjacent to a wall. Bucket elevator used to move crops which have been newly harvested up and into silo. Bucket elevators are manufactured in such a way that they can move heavy loads quite easily. They can be belt driven or chain driven and they can move vertically, horizontally or at an incline. Bucket elevators are sometimes referred to as conveyor buckets, most often when the movement is horizontal or on an incline. 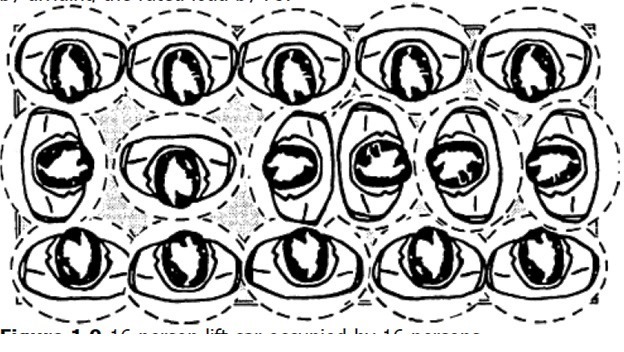 However, technically speaking, vertical movement is also accomplished with a conveyor belt or chain. The centrifugal discharge bucket elevator is perhaps the most common type. Of course, as the name implies the elevator is driven by centrifugal force. This type of elevator has lower speeds and the buckets are often placed relatively closely together. Vertical bucket elevators usually have buckets that are well spaced with bottoms that are rounded, and are often referred to as grain legs. Part of the reason for this is balance which keeps the contents in the buckets as they move up the elevator so that spillage isn't a problem. Vertical bucket elevators need to be used at a much slower pace both to avoid spilling contents and also because much of the time they carry loads that are quite heavy. The most common types of industrial elevators are hoist elevators and incline elevators. These types of elevators are built to carry huge amounts of weight effortlessly, therefore the term industrial elevators. This type of elevators is used in construction, warehouses, and shipyards. Hoist elevators are operated by a pulley or series of pulleys and they can be a simple platform or a cage in which humans or heavy materials are moved up and down during industrial applications. Generally, a pulley operates a rope or chain that wraps around a drum causing the elevator to rise or descend. It is said that hoist elevators are powered by either electricity or air, but even that isn't quite true because electricity is needed to pump air. Hoist elevators carrying materials and equipment to upper levels as needed while the building is being constructed. They are also commonly used to load equipment and supplies on large seagoing vessels. The equipment and supplies are placed on a form of conveyor belt that continues turning bringing the cargo up to its destination where it is quickly unloaded as the belt continues turning around. This is a much quicker method of loading and unloading cargo than with a hoist elevator because there is no stopping to unload. Everything happens in one fluid motion. Incline elevators when used for industrial purposes are usually temporary and mobile. Many are on wheels and can be easily moved from one dock or location to the next. In the next Topic, I will explain Other Types of Elevators and Basic Elevator Components. So, please keep following. Note: these topics about elevators in this course EE-1: Beginner's electrical design course is an introduction only for beginners to know general basic information about elevators as a type of Power loads. But in other levels of our electrical design courses, we will show and explain in detail the Elevator Loads Estimation calculations. Today is the first time I logged in .It is quite informative for students.I will ask my students to use this as a reference. thanks Patrick, I hope that Electrical-Knowhow website will be helpful reference for your students. I hope you derive as much joy as possible in making it. Thanks so much for the info, this is super useful stuff!! Thanks for sharing, that was an interesting read! You have given information about home lift. 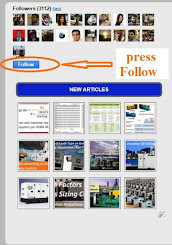 It was a great experience reading your blog. Such blogs should be appreciated and shared. Thanks for sharing, keep blogging.